Today I have created a demo tenant to test Microsoft Planner features and logged-in to the Planner Portal with a test account and tried to post a comment in a Planner task, the comment was placed successfully but it was reverted immediately and the comment removed with some unknown technical error. Actually a Planner plan's comments feature is connected with its associated group's conversation (Modern Office 365 Group Conversation). So I have tried to check the problematic plan's group conversation is really works or not by clicking triple-dots (...) >> Conversation. But I received the below error while accessing group conversation page. We couldn’t find a mailbox for this recipient. Either they don’t have a mailbox or don’t have a license assigned. 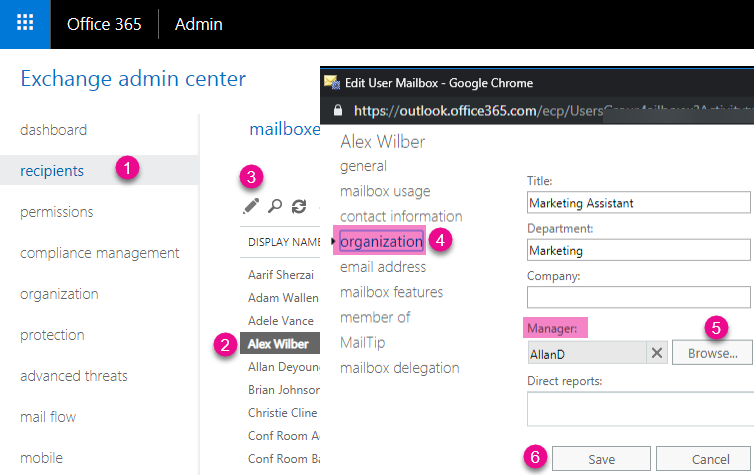 As I already said the Planner comments feature is powered by Office 365 Groups conversation, so to enable this feature your tenant should have Exchange Online license first and the user who is trying to post a comment should assigned valid Exchange Online license. In my case, the user account don't have a license and the problem was solved after assigning the license. Without Exchange Online license you can't use this feature as of now. You can't use On-Premise Exchange service since the modern unified group conversation is supported only through Exchange Online mailbox. You may still face issue to post comment (and error something like below while accessing conversation page) after assigning Exchange Online license but if the mailbox was not created for the user. A mailbox couldn't be found for user@domain.com. When a new Office 365 account is granted an exchange online license, it might take few moments for the mailbox provision. The maximum wait time is 48 hours. Please try logging in OWA (https://outlook.office.com/owa/) later to see if the issue persists. You can also change to another browser and use the incognito or private mode to check if there are any improvements. Always there is more amount of chance to work with string value in Powershell. I am also worked with string values and used lot of string compare checks in my scripts. We all know this is an easy job, but sometimes we need to think the comparison check is actually considering the case-sensitive or ignore case. So in the post, I am going to list the set of samples for string comparison. You can use the below examples both in IF statement and Where-Object. The normal powershell -eq operator is designed to perform case insensitive comparison and it will ignore the case while comparing the string values. Even though the -eq operator performs string comparison in case-insensitive way, you may still want to ensure a case insensitive comparison for some cases, in that place you can use the operator -ieq. The usage of this operator is very less because most people use -eq which does the same job. As the normal powershell -eq operator is designed to perform case insensitive comparison, you may need to enforce case-sensitive string compare in some cases, for this case you can use the operator -ceq which compare two string values with case sensitive check. We can use the -like operator for contains check with case insensitive operation. To perform a case sensitive comparison just prefix the word "c" with like operator ("clike"). We can use the same operator "like" for starts with comparison by just putting the wildcard character (*) at the end. For ends with check, we need to put the wildcard character (*) at the start of the string. We can use the operator contains to check whether a powershell string array includes a string word or not. Earlier you can manage modern Office 365 Groups (or Unified Groups) through Exchange Online Powershell module. Now the Azure AD Powershell team introduced new AzureADMSGroup cmdlets to provide the functionality of Microsoft Graph to create and manage unified groups, which includes creating modern O365 groups and dynamic groups through Powershell. In exchange module we need to run New-UnifiedGroup cmdlet to create an Office 365 Group, here you have to use the New-AzureADMSGroup cmdlet to create a new Office 365 Group. Note: When you create group using New-UnifiedGroup, the mailbox will be created immediately. When you use New-AzureADMSGroup, first the group object will be created in AzureAD and the group object synchronized with Exchange Online, which then creates the group mailbox, so there may be some delay in setting up group mailbox for the new group that was created by New-AzureADMSGroup. In exchange module, you have to use the command Get-UnifiedGroup to retrieve all unified groups, with Azure AD Powershell you can achieve the same using the Get-AzureADMSGroup cmdlet. By default the Get-AzureADMSGroup cmdlet gets information about all type of available groups in Azure Active Directory. We need to apply filter to list only Office 365 groups alone. With exchange module you can list group members and owners by using the Get-UnifiedGroupLinks cmdlet, here you have to use the command Get-AzureADGroupMember to find members and need to run the command Get-AzureADGroupOwner to list owners.